When the right ingredients combine, senses are on high. 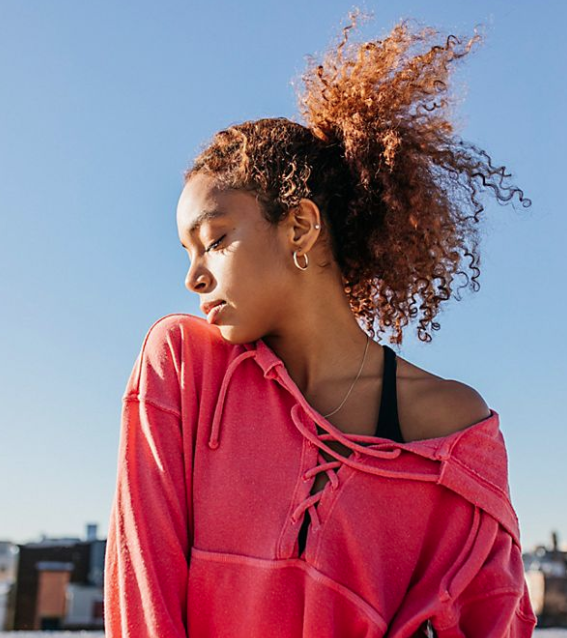 The nose will applaud a pleasant scent, and the eyes will lock on visually appealing colors. 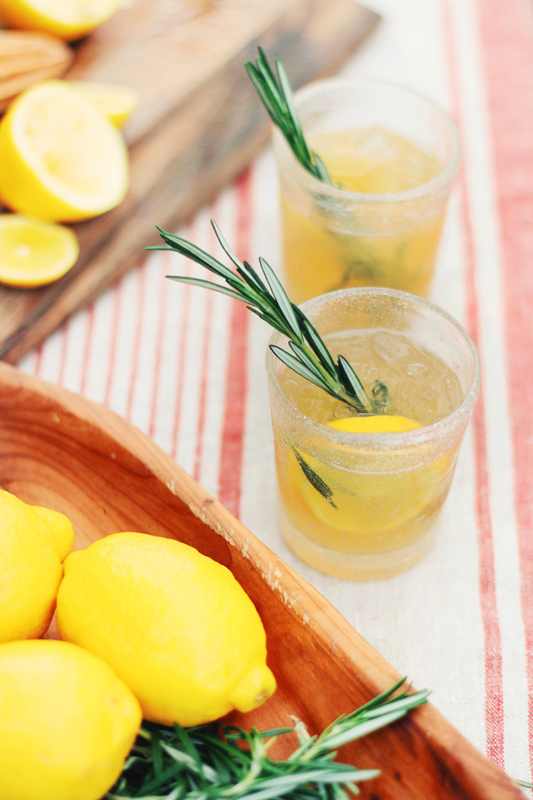 Everything about this Rosemary Maple Bourbon Sour will entice and delight, and leave you wanting more. A few weeks back, I made the trek out to Terrain where they walked me through the steps on how to make this delicious cocktail. As we make our way into the season of entertaining, keeping guests happy is important, and having the right drink menu is a great place to start. This one right here is not too rich, yet still sweet, savory and refreshing. 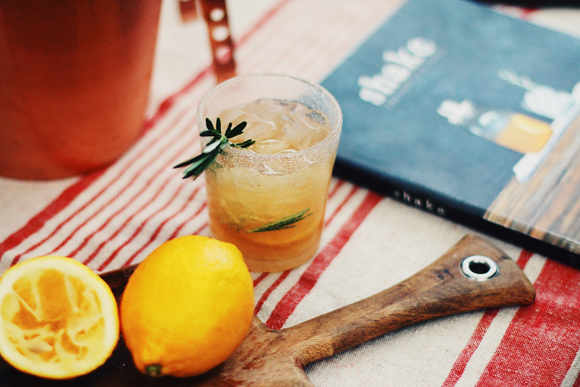 It’s the perfect cocktail for the holidays, and I can guarantee you’ll be serving it over and over again this season. 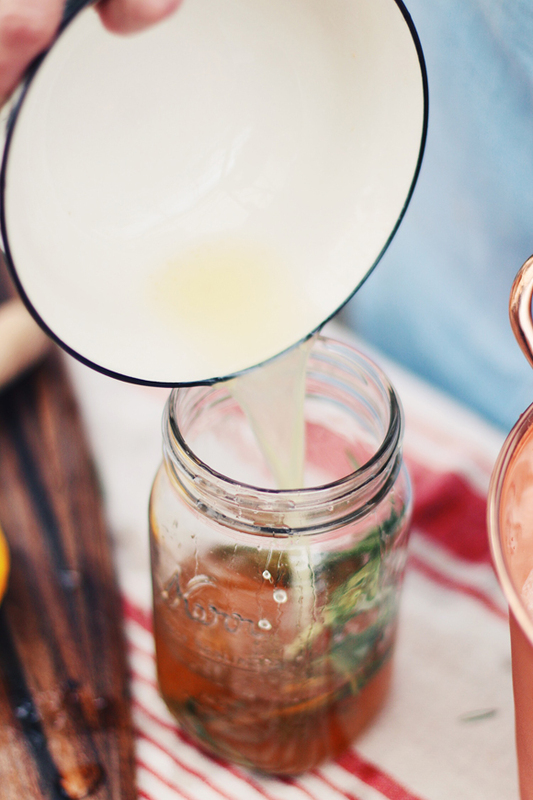 If you don’t own a cocktail shaker, it’s super easy to make one out of a mason jar. You’ll just need two wide mouth lids instead of the one it normally comes with. Take a nail, and hammer a few holes into one of the lids. Use the in-tact lid to shake, and the perforated lid to strain into the glass. 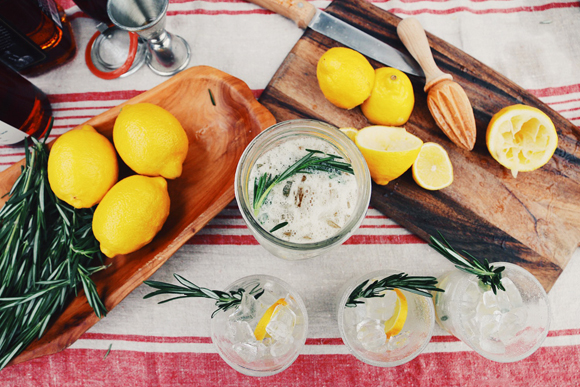 Fill a glass partially with ice and place a lemon slice and a sprig of rosemary at the bottom. 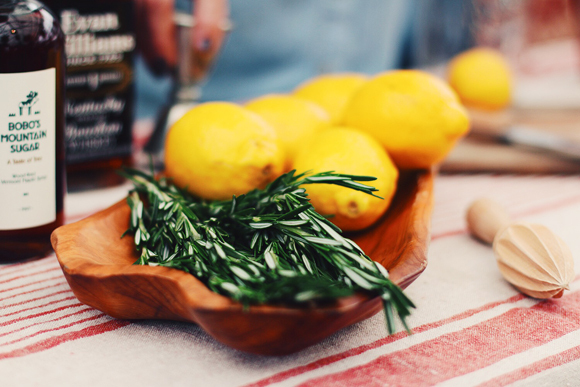 Tip: Rubbing the rosemary a bit in your hands will release more of the flavor. 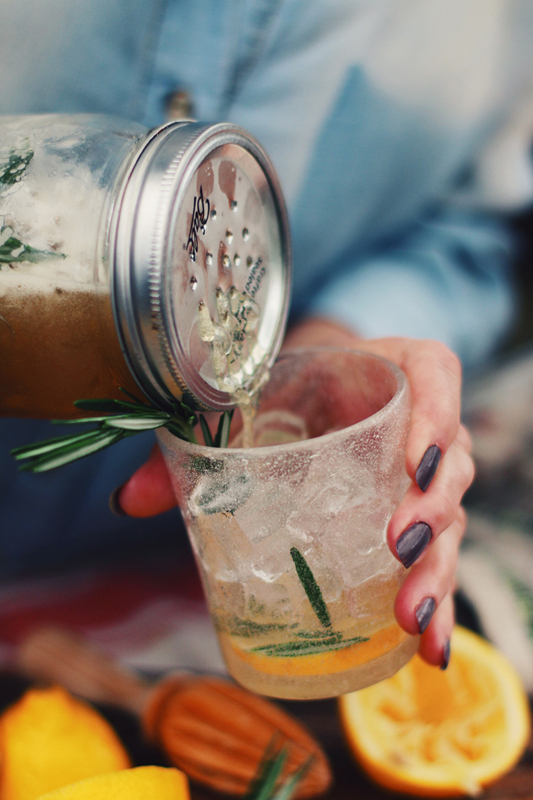 Fill up the mason jar or cocktail shaker with ice, 2 sprigs of rosemary, and a few lemon wedges. 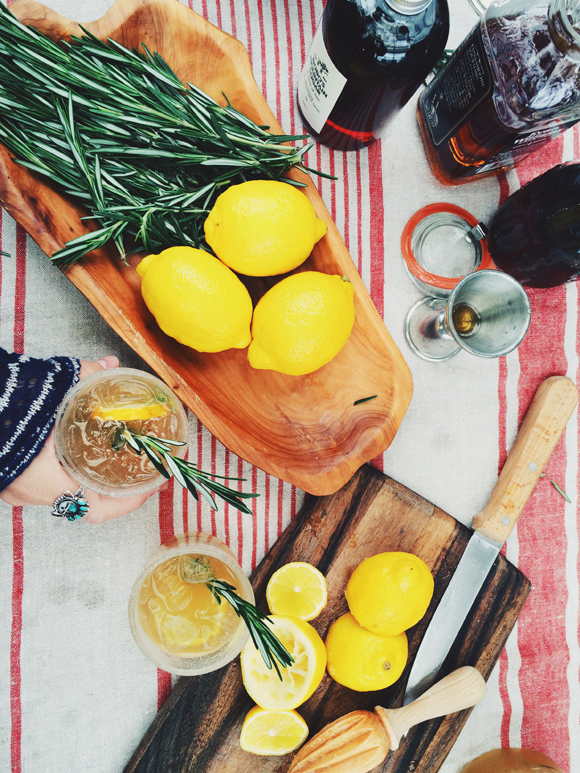 Pour in 3 shots of bourbon, 1 & 1/2 shots of fresh squeezed lemon juice, and 3/4 shot maple syrup. Shake for 15 seconds. 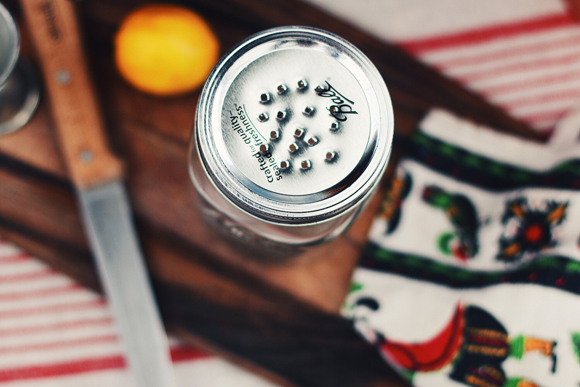 (If you made your cocktail shaker from a mason jar, you’ll want to make sure the lid with no holes is in place so nothing leaks while shaking.) 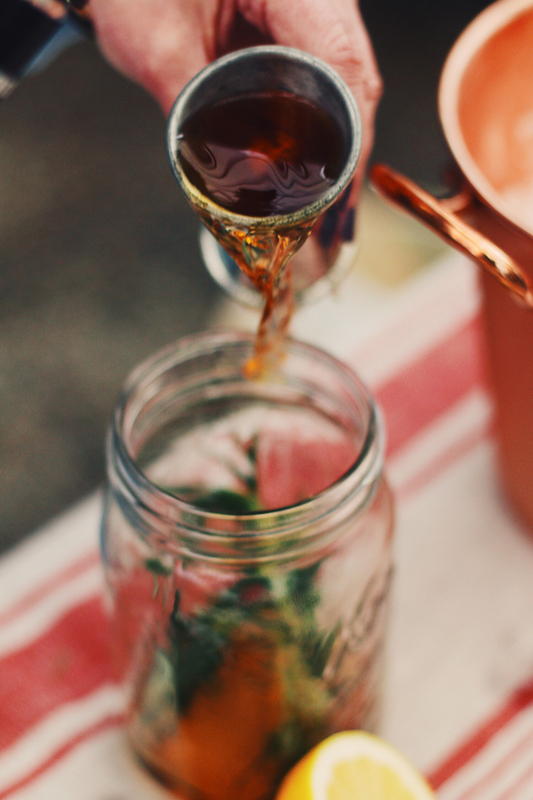 Pour the mixture into your serving glasses. Recipe via Shake. 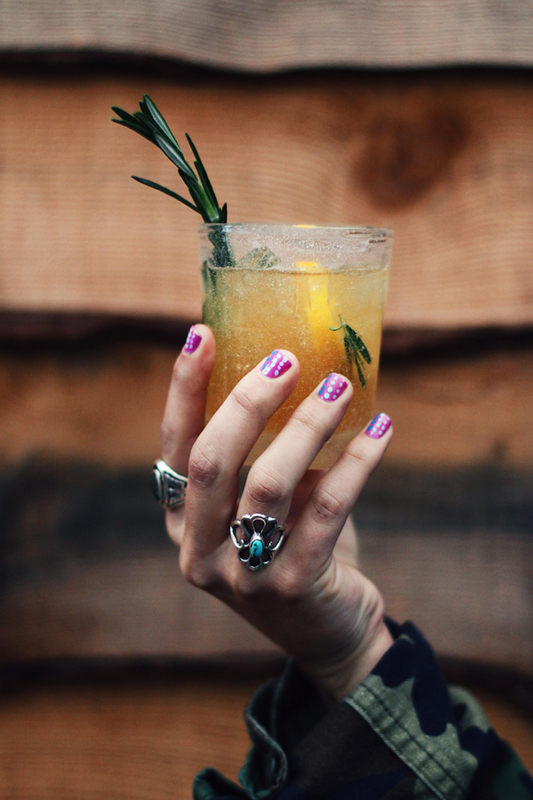 Check it out for other delicious cocktail recipes! Loving this DIY cocktail shaker!